Why Move to Dutchess County, New York? 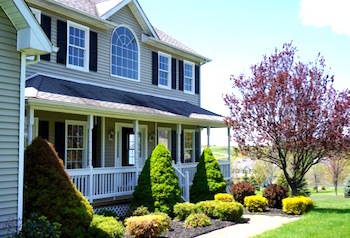 If you are looking to purchase a new home, Dutchess County, NY is a great option. Choices exist in all parts of the county with different styles of homes, size of property and at various prices. The county consists of two cities—Poughkeepsie, the county seat, and the the trendy and quaint, Beacon—plus 20 towns, eight villages, and 62 hamlets. With this many places to call home the choice of which home to buy is endless. Dutchess County, NY Another Home SOLD! Homes for sale in Dutchess County range from a small cottage to a multi million dollar estate. Average home prices will not break the bank though. Most homes provide great value, and you will find that homes in this part of New York have not seen the same tax hikes as other nearby counties. For this reason alone, the county has become more popular. Finding the perfect home can be a challenge at times as inventory of homes for sale is not as plentiful as our buyers might hope for. Homes that are priced properly sell quickly and a buyer that is truly looking to relocate needs to be ready when that perfect home enters the market. Dutchess County offers a short commute to New York City, beautiful, pastoral landscape, among other qualities that it shares with its upstate New York neighbors. But what separates Dutchess County, and makes it the most fitting area for your future home? The options are endless. Many small towns and hamlets can be found with the warmth and charm of a country setting but all close to bigger cities and of course just minutes from New York City. Our housing supplied is varied in price and style. Looking for remote and private? That is easy to find, along with neighborhoods of homes, townhouses and condos for a more community feel. Dutchess County is a place to live simply, luxuriously, or any style in between—all have been important to the forging of the county’s identity, and still are today. The real estate market has been hot in this area for a while now, with inventory falling and pricing is starting to rise. Value is still key and buyers are moving north from NYC, move right in and feel right at home. The exquisite landscape of Dutchess County provides an agricultural prominence that has thrived since European immigration, dating back centuries. This rural beauty has also historically spurred an incoming flux of affluent residents from New York City and beyond, particularly during the latter half of the 20th century. Most famously, Hyde Park is the hometown of Franklin Delano Roosevelt. Roosevelt’s estate, Springwood, is now home to the Franklin D. Roosevelt Historic Site, featuring the presidential museum and library. Another historical bit of trivia: Franklin and Eleanor Roosevelt chose Dutchess County as their think tank location for New Deal brainstorming. Dutchess County certainly possesses an historic appeal, as residents today are living amongst a legacy of illustrious past dwellers. New residents quickly learn that history is around every corner from their home. Hyde Park is home to The Culinary Institute of America, an institution very much representative of widespread influence, much like some of the other educational institutions in the area. The CIA boasts some spectacular real estate overlooking the Hudson River. The Culinary Institute of America has additional, national branches, and in 2015 acquired the Copia museum in Napa, California, which will house the institute’s brand new Food Business School, but we are partial to this beautiful home to some of the most famous chefs worldwide. From a historical perspective, Dutchess County is an agriculturally lucrative area. Thick forests and fruitful hills were friendly to early European religious and political refugees that turned to farming and trapping. Dutchess County played a role during the American Revolution, much like most of its neighboring counties. In fact, Fishkill was briefly an encampment for General George Washington’s troops, as well as the state capital for a time. In the 19th century, as European immigration to the region continued in the form of industrial labor, local industry boomed. In particular, textile mills and brickyards in Poughkeepsie and Beacon flourished, while families like the Roosevelt’s and Livingston’s performed successful ship trade and farmed effectively on their massive Hudson River waterfront estates. Oh those Hudson River views have always been a favorite! Even today, agriculture provides substantial revenue for the area. Among the 62 counties in New York State, Dutchess County ranks first in the sales value and number of ponies and horses. The 2007 Census of Agriculture revealed that there exist over 650 farms in Dutchess County, and the pastoral landscape contributes mightily to a region that fuses scenic wonder and industrial commerce. The county’s commitment to productive farming continues to establish a local food resource for the residents of the Hudson Valley. Fresh produce and the culture attached to farmer’s markets are significant aspects of life here. Especially on weekends, farmer’s markets will often feature musical performances or other activities, in spirit of the appreciation of arts and culture in the region. Wineries dot the country side and it seems that more are springing up every year. The WineTrail is home to many great places to tour and spend an afternoon with a local picnic and a bottle of your favorite new wine. Microbreweries are another new industry that had been added to the region. Wineries, microbreweries and a ton of new restaurants are making for some happy foodies. Choices are many and restaurant week has never been more fun. Brunch anyone? With so much great food means that you will need to find those hiking trails. No worries, as they are everywhere. Bring your camera for some wonderful photo ops. Moving up from NYC to an area like Dutchess County is a major life change. Second-home buyers find “healthy food benefits” along with our “breathe of fresh air” a great choice. Small town living in villages and neighborhoods surrounded by expansive landscape is picture perfect. Such was certainly one of the deciding factors of many affluent business men from NYC. A home in the city during the winter season was the logical choice. As soon as the winter thaw and a few flowers blossomed they would pack up the family to spend summers up the Hudson River. Yes, our lakes, ponds and fresh air have always been a major attraction. When railroads arrived in Dutchess County, so too did flocks of wealthy New Yorkers who founded their weekend and seasonal estates along the river. (The village of Millbrook, for instance, is often referred to as a toned down version of the Hamptons due to its reputation for affluent residents). With limited real estate on the river, those that own a waterfront home are well aware of the privilege they have. The onset of the region’s thirst for higher learning, as the incoming leisure class promoted a discovery of culture, lead to the establishment of literary societies and schools. Benefactors made libraries available to even the smallest communities during this era. The latter half of the 20th century is a pivotal time for the development of Dutchess County’s identity. The idea of relocating to a more remote, physically beautiful location further upstate, became favorable for a number of hugely influential figures. This influence founded on past tradition continues today, as Dutchess County is host to many innovations in education, arts, finance, and many other disciplines. The huge increase in suburbs and highways in the post-WWII era made evident to residents a need for policy over the region’s historic legacy. More than 200,000 acres of farmland have been designated as agricultural districts, and recently, various landscapes and buildings have been preserved through innovative re-use. As a result, Dutchess County’s history is ever visible, despite modern shopping malls and high-tech industries taking up some real estate. Gothic cottages, country inns, farmhouses, Victorian villas, and more are well preserved and very much apart of the region’s culture and energy. What a local gem to see these buildings remain a part of our community. To start, if you are interested in higher education, or are considering an environment of education and learning as a top priority, Dutchess County is an ideal destination. Dutchess County is undoubtedly a great place to think and create, and the area has a long tradition of intellectual exploration. The county has long been a favorite among writers, artists, philosophers, and intellectuals for its vast, spanning geography that gives the brain room to breathe and the eyes beauty to behold. A distinct love of learning and thinking—qualities instilled by the migration of leisure class residents to Dutchess County—defines the area as much as its agricultural value does, or its spanning landscape views. Dutchess County offers a handful of quality collegiate institutions, and these educational environments reverberate a zeal for learning throughout the area as a whole. The local colleges generate over $200 million for the local economy every year, and these colleges have garnered notable collaborations with high-tech companies like IBM, which co-developed Bard College’s Henderson Computer Center. Bard College is located in Red Hook and is another example of an educational center in Dutchess County with global influence. Its notable alumni include Chevy Chase, Donald Fagan, and Blythe Danner. Dutchess County features nine colleges in all, including Marist College, Vassar College, and Adelphi University School of Social Work, and Dutchess County Community College. Dutchess County is filled with museums—13 in all—and each has a different segment of history to share. Popular choices are the FDR Presidential Library and the 1914 railroad station. The area is even more bountiful in historic sites—numbering 31—that together represent one of the most underrated aspects of the county. Take Montgomery Place Historic Estate, which offers woodland walks, water falls, and landscaped grounds in the context of a view of the Hudson River and Catskills, or, Bannerman Castle, an early 1900s Scottish-designed fortress initially designed to store military cargo. Dutchess County’s historic landmarks are a microcosm of the entire region—they meld physical beauty and history, and they are well maintained. Enjoy a visit often as they are truly one of the best reasons for living in the Hudson Valley. We are only 65 miles north of New York City. A one seat ride from Grand Central Station to Beacon, New Hamburg and ending in Poughkeepsie NY is available on Metro North Railway – Hudson Line. The east side of the county has additional stops from the Harlem line that include Dover Plains and Pawling NY. Other options for transportation include the Short Line Bus system. Our proximity to Westchester County and NYC makes for a popular commute. Taxes in Dutchess County are more reasonable than in the other nearby counties and therefore more home buyers are moving north. Simply put, housing is more affordable. One of Dutchess County’s most unique and notable attractions is the Bardavon 1869 Opera House, which serves as the area’s premier performing arts center; it is also host to the Hudson Valley Philharmonic. In Beacon, art lovers will especially appreciate Dia: Beacon, Riggio Galleries, which is the museum for the Dia Art Foundation collection of works from the 1960 to now. The town of LaGrange offers a couple of excellent parks, including Freedom Park, which features a bandstand and a huge, open-air pavilion. 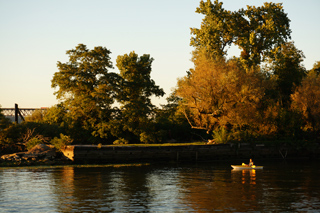 Other escapes nearby include Stringham Park and James Baird State Park. One of the more unique locales in Dutchess County is Hopewell Junction, a hamlet and CDP (census-designated place). Located within the town of East Fishkill, the population for Hopewell Junction was 376 at the 2010 census. The railroad that runs through Hopewell is no longer functional, but the area surrounding managed to recently be ranked #31 on Money magazine’s “Most Desirable Place to Live”! A tour around the historic district makes it easy to see why as it oozes with charm. Heads up golfers— we are home to 14 courses. In essence, Dutchess County has become a mainstay for ambitious thinkers or artists seeking to walk among the footsteps of FDR and bask in the endless history—particularly American history—that defines the area. On a more local, present level, Dutchess County is more than favorable for lovers of agriculture or fresh food markets. The area is certainly unique in that it simultaneously represents purity of nature and industrial commerce, and families or individuals with appreciation in both sectors will undoubtedly appreciate Dutchess County. Our larger communities have a bit more urban feel for those that find green grass and trees a bit more than they can handle. A tight knit community may be more to your liking. Dutchess County, NY – Your Next Home! 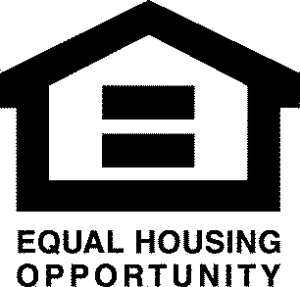 Homes that are currently available in the entire county can be found here. Need some help with location, style, price point? Just ask. I’d be happy to set you in a direction of homes that could work for you. We have homes of varied styles, age and price point. I would love to discuss your wish list and how that can work with our housing inventory. Our Hudson River view homes, lake front properties and mountain side second homes are just a few of the possibilities. The process of buying a home should be as much fun as possible. My goal is to help streamline the process from start to finish.